Only 17% of visitors to the new National Park Service visitor center have paid to see the new movie, “A New Birth of Freedom.” There were not a lot of people in line for this showing of the movie this morning. The entrance doors to the two movie theaters are in the background. When the Cyclorama opens in September, one will have to pay for the movie and Cyclorama together. That price will be $12.00. This view was taken from the southwest facing northeast at approximately 10:20 AM on Saturday, June 28, 2008. 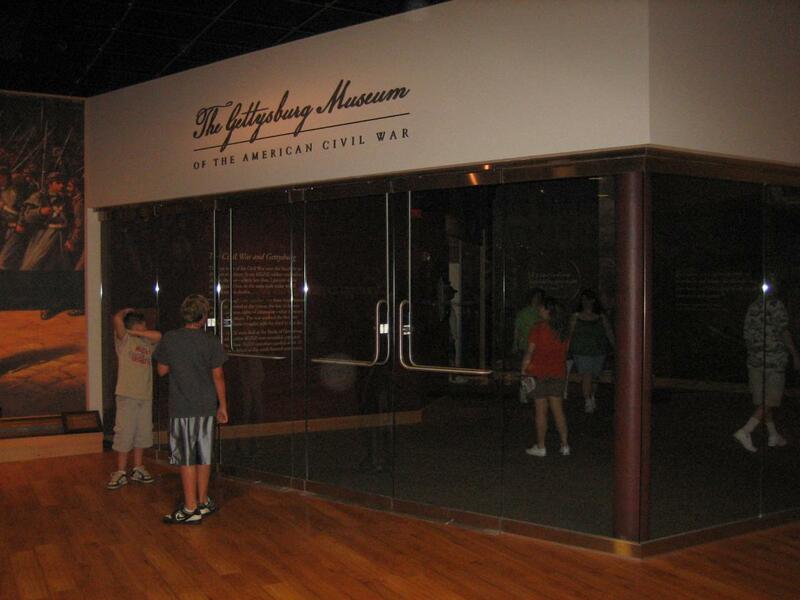 The Gettysburg Foundation is concerned that only 17% of visitors to the new National Park Service Visitor Center have seen the new movie, “A New Birth of Freedom.” They are encouraging their employees to promote the movie to visitors, including monetary incentives for the effort. They are also discussing the possibility of making visitors have a ticket to visit the new museum. The new museum will be free, but visitors must go to the Foundation desk to request the tickets. The employees will then attempt to sell the movie to the visitors. 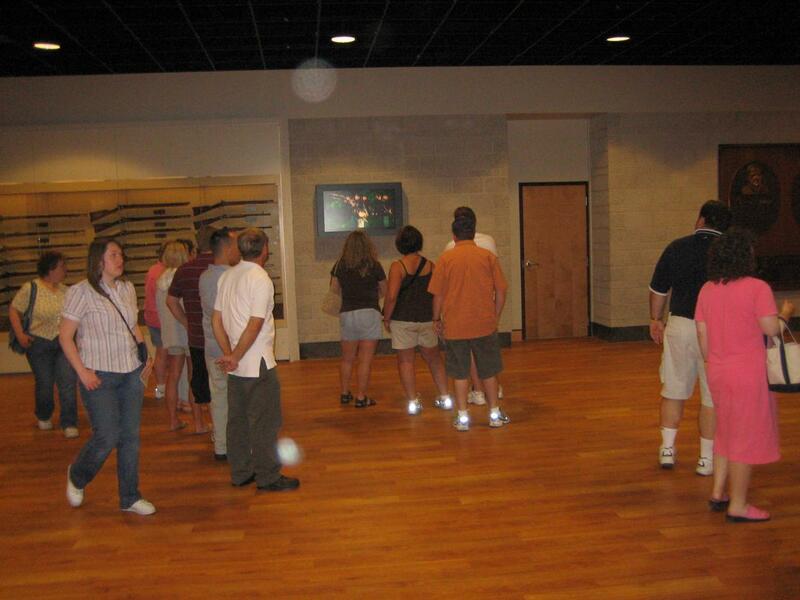 Employees have also been encouraged to tell visitors that it is not a 22 minute movie that costs $8.00. The $8.00 movie is to be “about a half an hour.” It seems to the Gettysburg Daily that a significant lowering of the price of the movie will get more visitors to view it. If the price is low enough, they may even pay to see it again sometime. You know, like they did with the Electric Map. See the National Park Service and Gettysburg Foundation latest proposal for increasing revenue on August 28, 2008. 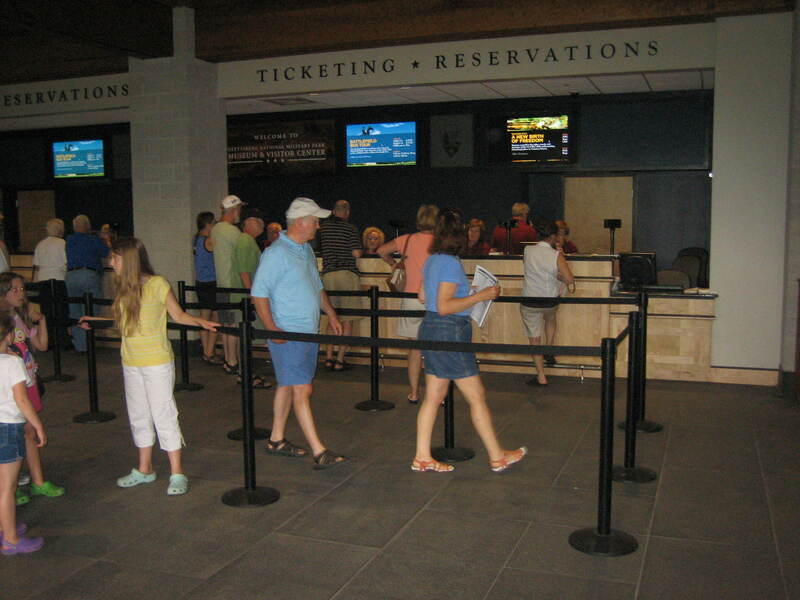 Although not a lot of people are paying to see the movie, the visitor center is, of course, crowded on a Saturday morning in late June. This view was taken from the northeast facing southwest at approximately 10:20 AM on Saturday, June 28, 2008. The entrance to the new museum will soon have employees in front of it, collecting free tickets, or informing visitors they must have tickets to the free museum. 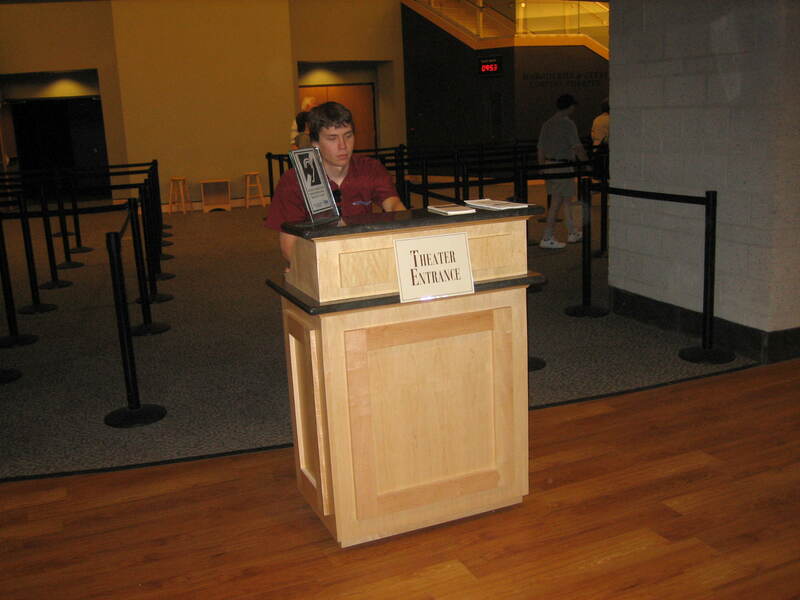 They will then send visitors back to the ticket counter. This view was taken from the southwest facing northeast at approximately 10:20 AM on Saturday, June 28, 2008. At the ticket counter, the employees will attempt to sell the movie to you. They will also tell you that the 22 minute, $8 movie, is “about a half an hour.” Today was fairly busy at the ticket counter. What will it look like after you add many more people to these lines who just want to get their free ticket(s) to the museum? This view was taken from the south facing north at approximately 10:20 AM on Saturday, June 28, 2008.